The “Tarot GT” is a very useful spread when we are asked for a general reading and it works very similarly to a Lenormand Grand Tableau. Click here for a video explanation. For this spread, first thing will be separating the Majors from our deck. Then, we will shuffle and lay three rows of seven cards each, and the last card will be placed at the end of the second row. This spread tells us about the past, present and future of the querent. The fourth column will be the present, the three columns behind it will be the past and the three column after it will be the future. 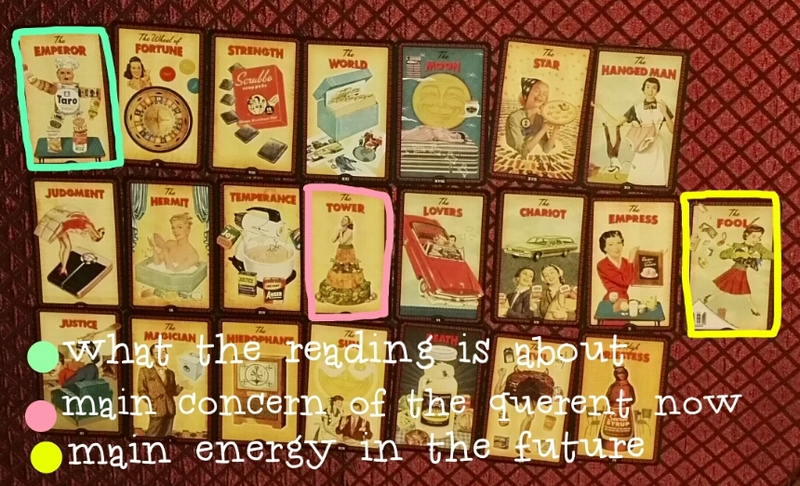 The remaining card tells us about the general energy that will rule the future. The first card of the spread will tell us what is the general topic of the reading, while the central card will tell us about the querent’s main concern in the current moment. Now we look for our querent’s card. The Empress if we have a female querent, The Emperor if we have a male querent. This spread works in many ways. What is behind each significator card tells us about its past and what is ahead tells us about the future events. We can also read in diagonal to see how the querent interacts with those events and energies and what the external influences are. For instance: If we want to read about the querent’s love life, we’ll look for The Lovers card and do the abovementioned. 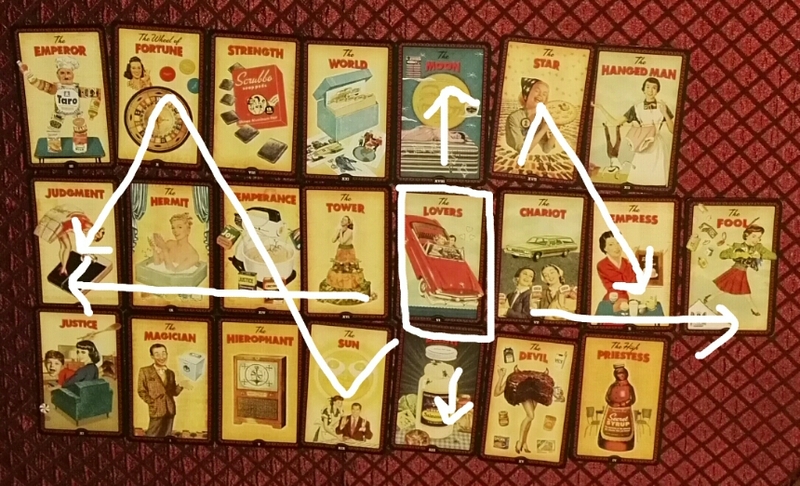 Once the card is located, we’ll look at the row behind it, that will tell us about the past of the situation. The row ahead will tell us about the future. The diagonals will tell us how the querent interacts with the situation and its external influences, again, what is behind the significator will be past, what is ahead will be future. What is over the card tells us what the querent is unconscious about, or what is out of their control. What is below the card tells us what the querent is conscious about or can control. If we want to read about finances we will look for The Wheel of Fortune. If we want to read about health issues – (Remember to tell your querent to see a doctor) Temperance. If we want to know about personal projects – The Magician. And this is basically how it works! The Tarot Grand Tableau is available in the website only at the special rate of $35! Just like a Lenormand GT but with Tarot! Discover your past, present and future with this comprehensive general reading! Previous postKipper card 23 – Court House. Next postKipper card 24 – Theft.